Catch Des Moines museums. More than history. Des Moines is hands-on science exhibits and Living History Farms. 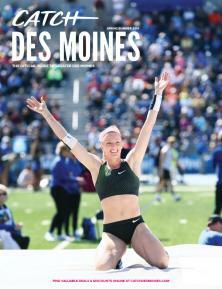 Interactive education on athletes, musicians and celebrities with Iowa ties. From the U.S. Ballooning Hall of Fame to the Iowa Hall of Pride. Botanical gardens and butterfly wings. Catch the Des Moines Art Center. The Public Art Foundation. The State Historical Building of Iowa and the Iowa State Capitol. Greater Des Moines is a city full of things to do.